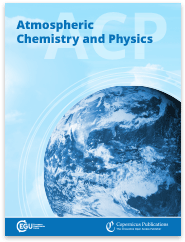 Atmospheric Chemistry and Physics (ACP) is an international scientific journal dedicated to the publication and public discussion of high-quality studies investigating the Earth's atmosphere and the underlying chemical and physical processes. It covers the altitude range from the land and ocean surface up to the turbopause, including the troposphere, stratosphere, and mesosphere. The main subject areas comprise atmospheric modelling, field measurements, remote sensing, and laboratory studies of gases, aerosols, clouds and precipitation, isotopes, radiation, dynamics, biosphere interactions, and hydrosphere interactions (for details see journal subject areas). 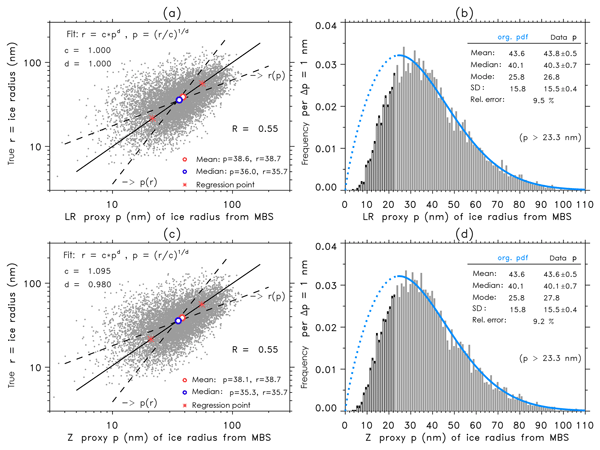 The journal scope is focused on studies with general implications for atmospheric science rather than investigations that are primarily of local or technical interest. 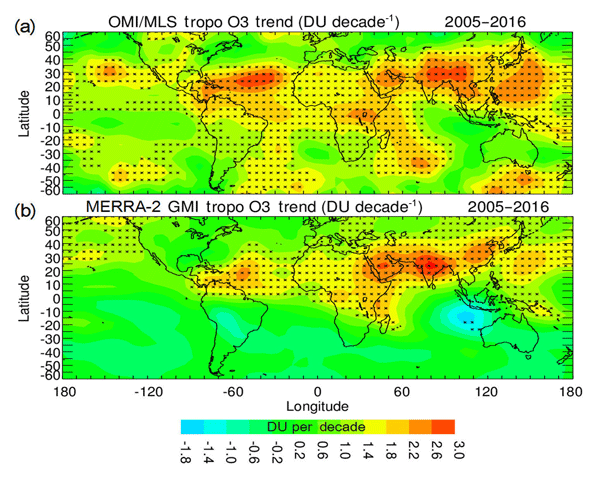 Both a 38-year merged satellite record of tropospheric ozone from TOMS/OMI/MLS/OMPS and a MERRA-2 GMI model simulation show large increases of 6–7 Dobson units from the Near East to India–East Asia and eastward over the Pacific. These increases in tropospheric ozone are attributed to increases in pollution over the region over the last several decades. Secondary 38-year increases of 4–5 Dobson units with both GMI model and satellite measurements occur over central African–tropical Atlantic. 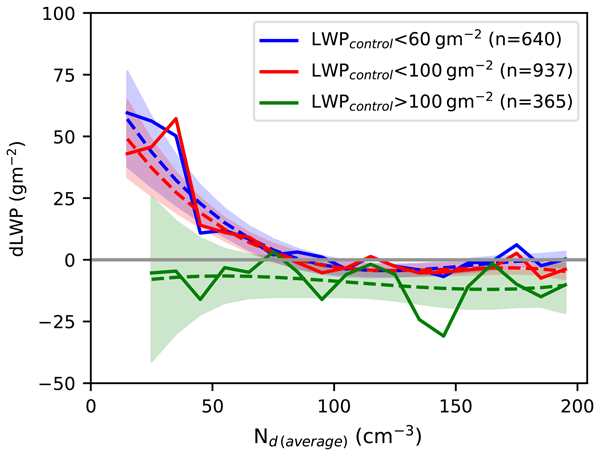 The ability of positive matrix factorization (PMF) factor analysis to identify and quantify the organic aerosol (OA) sources accurately is tested in this modeling study. 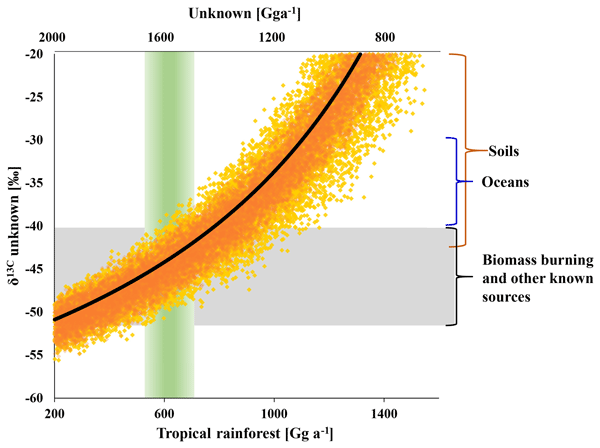 The estimated uncertainty of the contribution of fresh biomass burning is less than 30 % and of the other primary sources is less than 40 %, when these sources contribute more than 20 % to the OA. 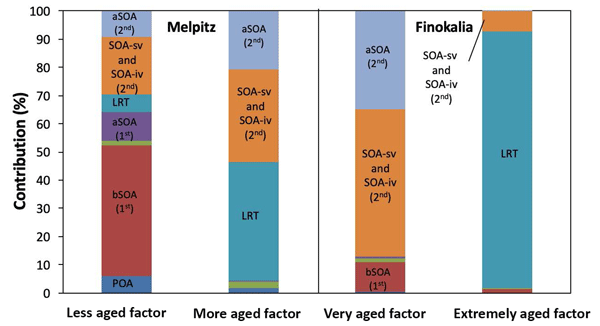 Τhe first oxygenated OA factor includes mainly highly aged OA, while the second oxygenated OA factor contains fresher secondary OA. StratoClim is a collaborative research project funded by the European Commission 7th Framework programme. The main objective of the project is to improve the understanding of key processes in the upper troposphere and stratosphere (UTS) for more reliable projections of climate change and stratospheric ozone. StratoClim focuses on the understanding of the microphysical, chemical, and dynamical processes that determine the composition of the UTS, such as the formation, loss, and redistribution of aerosol, ozone, and water vapour; how these processes are affected by climate change; and how they feed back on global climate. The issue will include papers coming from all sectors included in the project: in situ and sonde measurement deployment, satellite data products and analysis, mesoscale and transport modelling, and CCM experiments and analysis. We expect a special emphasis on the results from the high-altitude research aircraft campaign in the Asian monsoon area carried out in 2017 deploying an innovative and comprehensive payload. Due to the expected contribution of instrumental manuscripts, the issue will also include AMT submissions. This inter-journal special issue of AMT, ACP, and GMD serves as a thematic collection for manuscripts arising from the work of Horizon 2020 integrated infrastructure project Eurochamp-2020; cf. https://www.eurochamp.org/ . 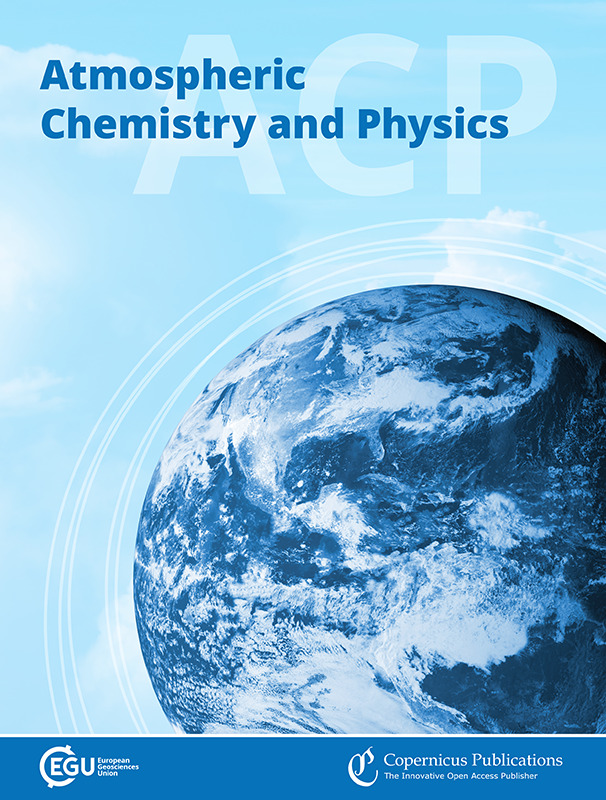 As Eurochamp-2020 has project parts dealing with new instrumentation, with atmospheric chemistry and physics studies as well as with modelling, contributions are expected for all three journals as part of the inter-journal special issue. The Sentinel-5 Precursor mission is a single-payload satellite in a low-Earth orbit successfully launched on 13 October 2017. 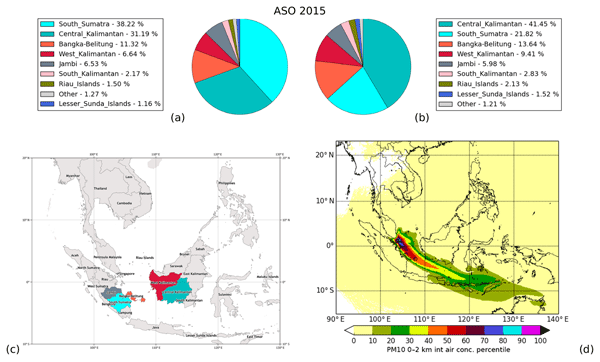 The mission provides daily global information at an unprecedented spatial resolution (~3.5x7km2) on trace gases and aerosols, important for air quality, climate forcing, and the ozone layer. The single payload of the mission is the TROPOspheric Monitoring Instrument (TROPOMI), which is a nadir-viewing push-broom spectrometer measuring in the ultraviolet, visible, near infrared, and shortwave infrared. 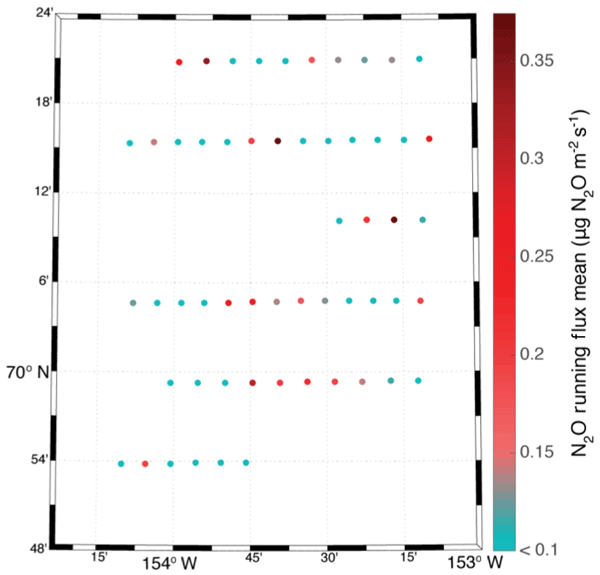 The selected wavelength range allows for the observation of key atmospheric constituents, including O3, NO2, CO, SO2, CH4, CH2O, aerosols, and clouds. The mission flies in loose formation with Suomi NPP to obtain detailed information on clouds and for further scientific exploitation of combined data products. In this combined ACP/AMT special issue the first results will be presented, including validation of operational products. 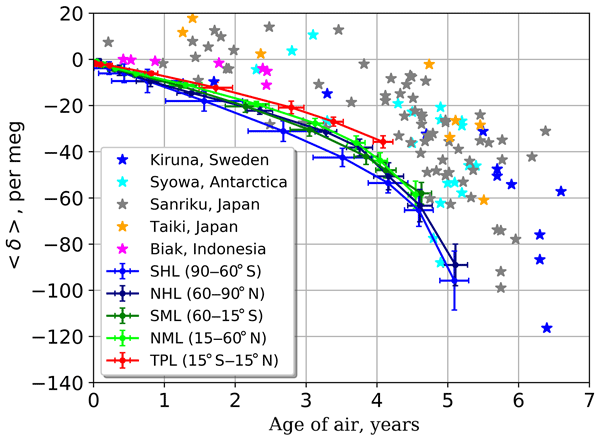 impact of urban traffic emissions on air quality and human health at a street level. Copernicus Publications recently launched its full-text HTML workflow and optimized the ACP website for mobile devices. Thereby, the user experience is significantly enhanced when reading ACP articles.